Now don't get me wrong, I've been a fan of Linkin Park since they've started out and I'm a HUGE fan of Transformers since Generation 1. I mean a huge fan. 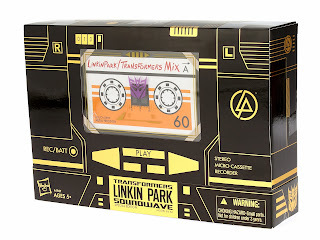 No, seriously, I have Transformers tattoos... anyways, I'm going to dive in and say I'm not digging the special edition Soundwave that was produced as a result from the collaboration between Linkin Park and Hasbro. I may be a little demanding when it comes to the Transformers franchise. Especially if it involves Generation 1 (G1), which is my absolute favorite series and Soundwave, who is one of my absolute favorite Decepticons. The design is inspired by the G1 series Soundwave and mainly recieves a gold treatment all around and comes in a cassette-style box packaging. The full package includes four cassette minions that can slide into Soundwave's chest and stands about 7'' high. 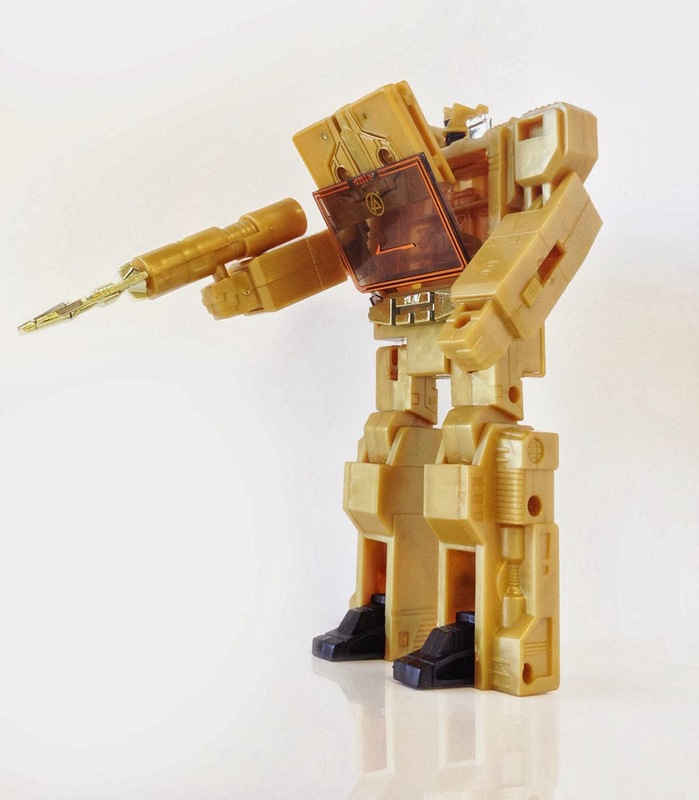 The unveiling of the design was shakey at first with the very loyal fanbase to the Transformers world and has ultimately transposed to a luke-warm reception at the moment. 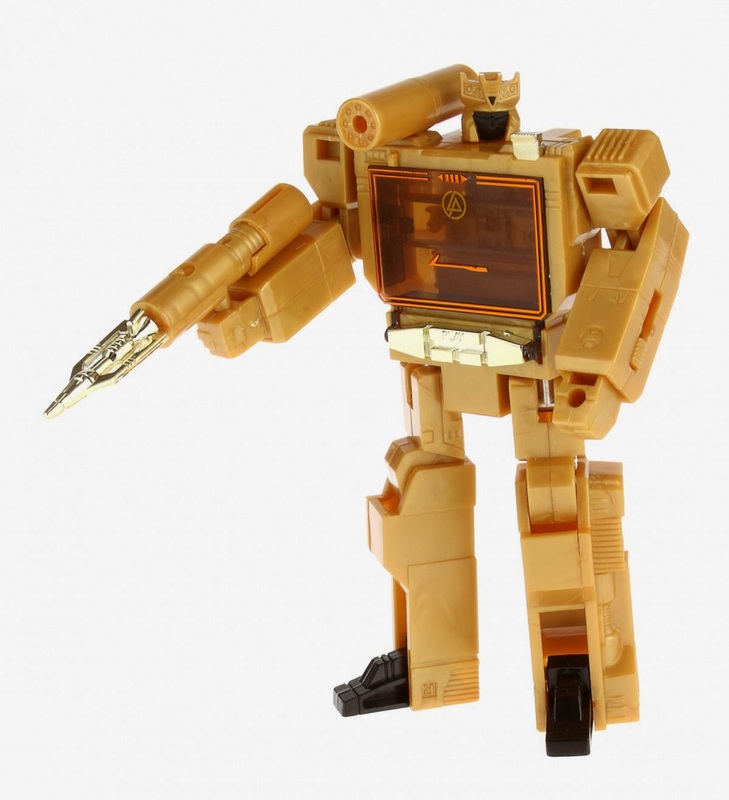 But overall, the most avid Transformers collectible fan WILL get their hands on this item. I, myself, am not a huge fan of this piece. You can be the judge for yourself with the pictures below. Like what you see? Have $150 to burn? You can purchase it here or you can check out the standard sites, such as eBay, Amazon, etc.